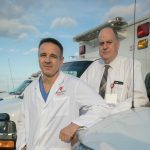 Speedy advanced care at the scene, critical for stroke victims during the first hour, is now available after the launch of Stony Brook Medicine’s Mobile Stroke Units, the first of their kind on Long Island. 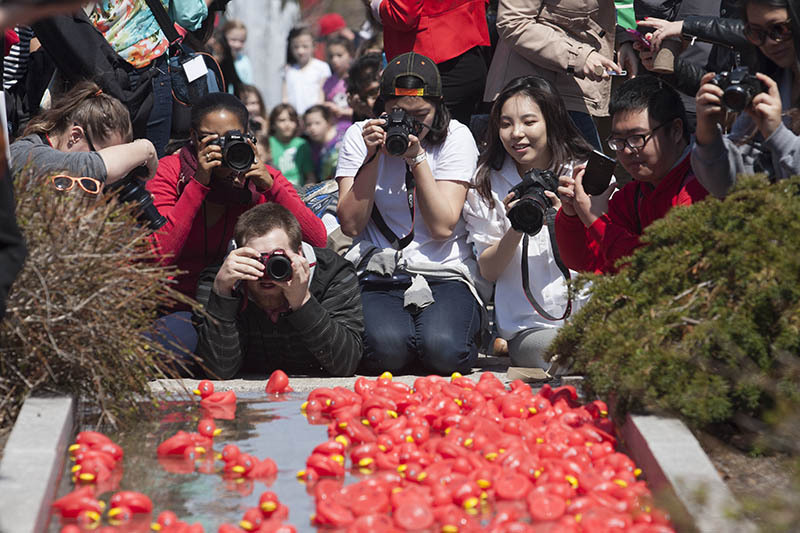 The Stony Brook Cerebrovascular and Comprehensive Stroke Center (CVCSC) and the Stony Brook Renaissance School of Medicine Department of Emergency Services offered a sneak preview of the program last month. 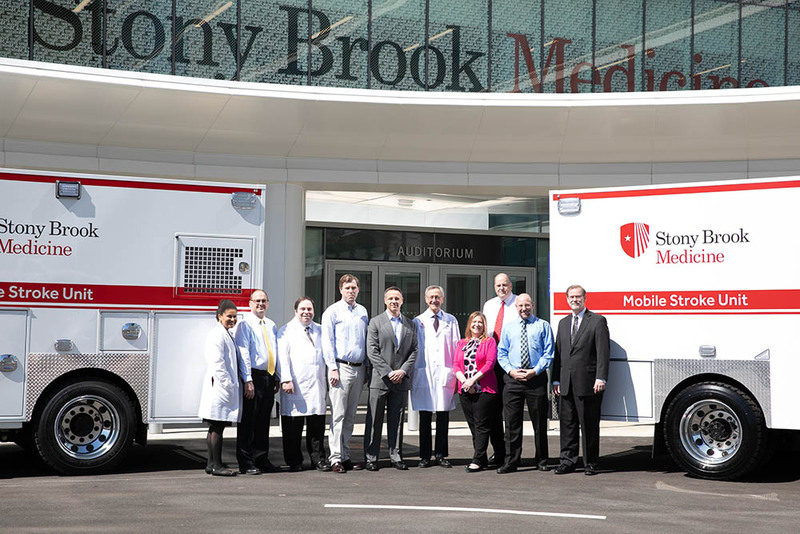 Stony Brook stroke experts and public officials joined together for a full demonstration of the units’ capabilities to provide residents with immediate, onsite advanced care, including a telehealth component that allows EMTs to connect with doctors in real-time. The MSUs will be available seven days a week, from 8:00 am to 8:00 pm, which is the window of time when most stroke calls are received. The specially-equipped ambulances will be strategically based at exits 57 and 68 on the LIE, and will take calls within 10 miles of their base, which should ensure response times of 20 minutes or less. They will provide Suffolk County residents with the highest level of care for ischemic and hemorrhagic stroke. Left to right: Kimberly Noel, MD, Director, Telehealth, Stony Brook Medicine; Stephen Slovensky, Emergency Medical Services Director, Stony Brook Medicine; Michael Guido III, MD, Neurologist, Director, Stony Brook Neurology Stroke Program; Trevor Marshall, MD, Medical Director, Emergency Medical Services; David Fiorella, MD, PhD, Neurointerventionalist, Director, Stony Brook Cerebrovascular Center; Ken Kaushansky, MD, Dean, Renaissance School of Medicine at Stony Brook University; Eileen Conlon, RN Coordinator, Stony Brook Medicine; Eric Niegelberg, Associate Director, Operations, Emergency Services and Internal Medicine; Tony Indelicato, Radiology Operations Manager, Stony Brook Medicine; John Hennessey, Stony Brook Medicine. 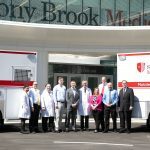 “With the launch of these new Mobile Stroke Units, Stony Brook Medicine is leading efforts to bring expert stroke care to patients across Long Island,” said Kenneth Kaushansky, MD, Senior Vice President for Health Sciences and Dean of the Renaissance School of Medicine at Stony Brook University. 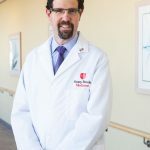 “When a blood vessel supplying the brain is blocked, it is estimated that nearly two million brain cells are lost for each minute that passes, making stroke the most time sensitive diagnosis we have in medicine,” said David Fiorella, MD, PhD, Director of the Stony Brook Cerebrovascular Center and Professor of Neurological Surgery and Radiology at the Renaissance School of Medicine. “The imaging capability of the Mobile Stroke Unit will allow us to identify patients who are having a stroke from reduced blood flow to the brain at the scene. The faster we can restore blood flow to the brain the more likely that the patient will have a full recovery. 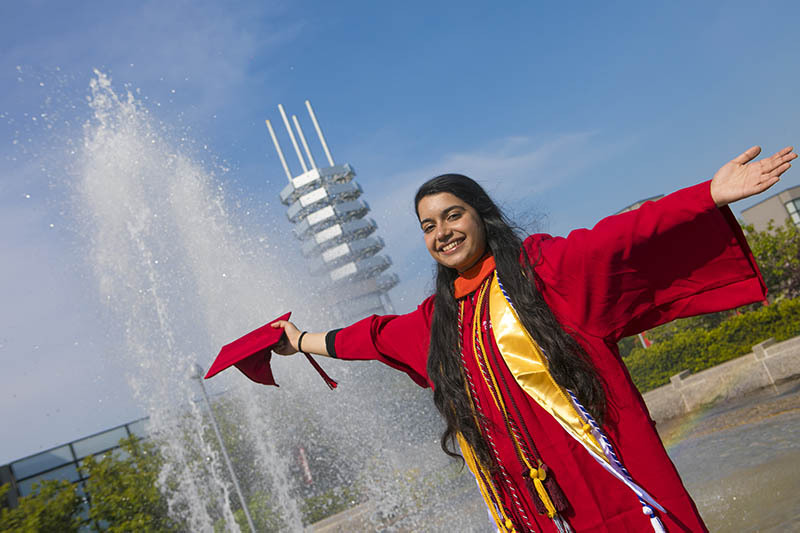 Each state-of-the-art MSU is essentially a “mobile stroke emergency room,” which includes an in-ambulance care team consisting of a critical care nurse, paramedic, EMT and CT technologist, also known as a CT scan technologist. The units have a telemedicine system that enables Stony Brook emergency physicians and neurologists to see and examine the patient via audio/visual conferencing.